Make sure to get the paper every Sunday. Leech coupons from friends and family. If you love Salsa Caliente, e-mail Caliente Inc and ask for coupons. Print coupons from the retailer's website. See that rugged binder? Every Sunday I put my circulars in clear inserts. Each circular gets a separate insert. At the top of each circular I sharpie in the date. Random coupons get alphabetically filed in a separate coupon holder. There are three issuers of Sunday inserts: Proctor & Gamble (P&G), SmartSource (SS) and Redplum (RP). See the names at the top left? Don't worry, before I started couponing effectively I didn't notice the names either. It tells me the sale price (3/$4.98), the optimal coupon price ($.16), where to find the coupon (6/28 RedPlum insert), value of coupon ($.75 off 1) and expiration date (8/9). All I have to do is cut and shop. If in the middle of the week I get a hankering for Salsa Caliente I search the coupon database and it spits out the same information as above. Coupons expire, its a very sad but real part of life. Once a month I clear out a few week's worth of inserts in order to keep my coupon binder from weighing more than my head. The first week in a month is a good time to do this since so many coupons expire on the last day of a month. 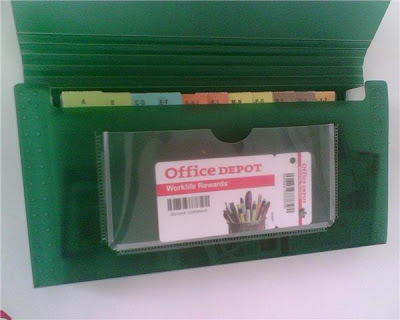 I take the unexpired coupons and file them away in my mini coupon holder and trash the rest. The hardest part is acquiring coupons. I'll cover that in part two! Hi Anny. Just wanted to say thanks for stopping by my blog the other day and for the sweet comment. I'm off to look around your blog now. Have a great day! I am just getting started on using coupons more. I love this post, can't wait for part 2.